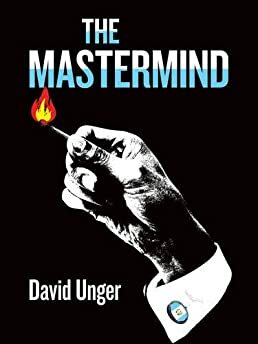 Largehearted Boy: Book Notes - David Unger "The Mastermind"
Book Notes - David Unger "The Mastermind"
David Unger's novel The Mastermind is a gripping literary thriller masterfully set in Guatemala. "This novel by Guatemalan-born Unger (The Price of Escape, 2011) offers a compelling portrait of a country shattered by government corruption, civil war, mass murder, drug cartels, ordinary street crime, inequality, desperate poverty, and even the effects of globalization. . . . The rich but tragic sense of place Unger develops in this intriguing literary thriller will appeal to lovers of international crime fiction." Music doesn't really inspire my writing. I never listen to music while writing. I would find it a distraction. Great music, however, is the spirit made flesh, a feast in which each note is delectable. It is so powerful that it forces characters to act, often against their better judgment. Though often my characters make a mess of things when they draw inspiration from music, they are following their hearts, which is admirable and supreme. I offer this playlist of music featured in The Mastermind. With his young wife Rosa Esther, Guillermo has left Guatemala to study law at Columbia University in the early 1980's. The Door's "When the Music's Over" becomes the iconic song, the anthem, for them and a group of Latin American friends who are living in NYC in quasi-exile. It is a sultry song that sweats sexuality and passion. It comes to symbolize the first of his many extramarital affairs. "Before I sink into the big sleep I want to hear, I want to hear the scream of the butterfly . . ."
While driving around Guatemala City, Maryam Khalil, Guillermo's soon-to-be lover, listens to Arabic music though she cannot speak the language. In particular, she likes the music of the Lebanese songstress Fairuz who is considered a cultural hero throughout the Middle East. She has a beautiful melodic voice; many of her songs are nostalgic in nature. One evening, half way through The Mastermind, Maryam and her much older husband are at home listening to Assali Nasri. They are experiencing the music and lyrics in distinctly different ways. Maryam takes the song of love so much to heart that she wants to tell her husband that she doesn't love him and wants to leave him to join her lover; Samir, meanwhile, is allowing the music to transport him back to his adolescence in Sidon, Lebanon and his simpler life. This is a pivotal moment because Samir reveals that he knows she has been having an affair with Guillermo Rosensweig, the novel's protagonist and her father's lawyer. Insulted and belittled by her husband, she runs out of her apartment to meet her lover. There's music playing in the Sophos Bookstore Café. I imagine a Mozart piano playing softly in the background while Guillermo Rosensweig is discussing with Miguel Paredes the possibility of committing suicide and accusing the President of his death. At a crucial point in The Mastermind, Guillermo believes that Maryam, the love of his life, is dead. He is totally disconsolate. Living alone in neighboring El Salvador, he listens to the music of Liszt, Debussy and Delibes, depending on his mood: there are moments when he is angry and raging (Lizst's Piano Sonata in B Minor), when his heart is breaking and he wants to "drown in his sorrows" (Debussy's Claire de Lune) or when he imagines himself and Maryam spending the rest of their lives together (Delibes' "Flower Duet" from Lakmé). When he listens to Bill Evans's "Peace Piece" and Cole Porter's "So in Love," Guillermo believes that Maryam is with him. Listening to the former, an exquisite classical/jazz composition that is reminiscent of Clair de Lune in its melody and Baroque music contrapuntally, Guillermo achieves a state of quiet ecstasy. It may be my favorite piece of music in the world, together with Bach's Goldberg Variations. ..Listening to "So in Love," Guillermo pledges to love Maryam forever--I'm yours till I die, so in love with you, am I—at the same time that he allows himself to imagine that she escaped the carnage like him, and may very well be alive. In particular, I like this Ella Fitzgerald version since Ella was my mother's favorite American singer (in Spanish it was Toña la Negra) and the Spanish version of this novel (El manipulador: Planeta, Mexico, 2015) is dedicated to her.